It’s time for debate. New genome sequence techniques are developed these past few years. 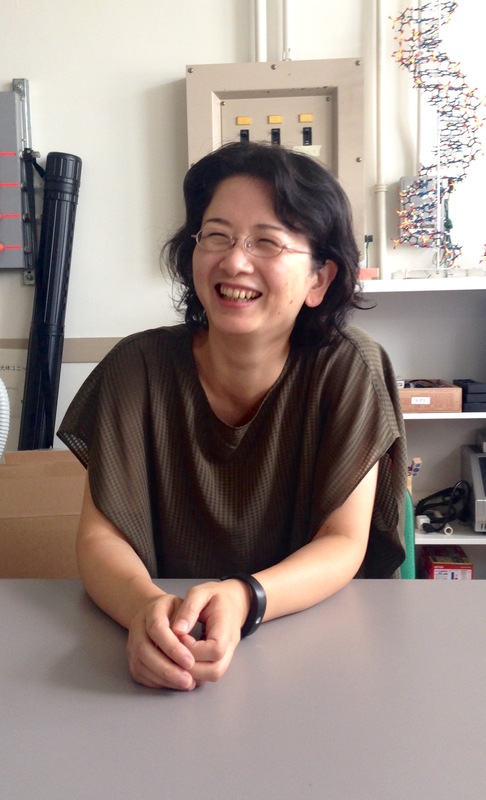 Associate Prof Ikuko MOTOIKE is a researcher of genome sequence and medical science. Gene information brings us various ethical issues. She’s cautious about sequencing her genome. Sun Yat-sen University revealed their experiment that editing human embryos’ genome in this April. Nature and Science didn’t accept their report for reason of ethical problem. It was too early to carry out. Today genome sequencing is widely used for medicine except for altering human embryo(＝life information). The Associate Prof is a member of sensing physical data research and a project using genome information for preventive and individual care. She said, “It’s important everyone can maintain their health” against the aging society in Japan. Some gene information tells proper kind of anticancer agents to patients. The project aims to contribute to promoting preventive medicine like this, by analyzing genome. Thanks to rapid innovation, we can get gene information with 1-day sequencing or take analyzing service less than 200 dollars (some private companies’ service). However, the technique still has room for doubt about its accuracy. Do you want to know whether you have an incurable disease? You might　be unable to decide ‘yes’ or ‘no’. What do you think about disease rate in the future? Which test will you take, for only curable disease or for all possibilities? Ironically, the imprecision of sequence makes you a little relaxed; you don’t have to concern seriously. The UK accepted the “three-parent” law about 6 months ago. Reproduction technique has been developed, and we Japanese need to debate more active. The Associate Prof thinks many people don’t learn ethical problems gene techniques will cause. For example, setting a class about latest science and ethical problem at school can be one solution. The technique may affect your life. Perhaps some gene information plays an important role when you choose health insurance. The US adopted GINA (Genetic Information Nondiscrimination Act) in 2008, to prevent discrimination based on genome information at insurance or employment. Ethical issues involve couples in serious matter. Some gene variants have no bad influence in one person, but they cause a problem in two persons. When both father and mother have this kind of variants at the same gene, their baby will have disorder. After knowing that, can you decide to marry him/her or give a birth? Reading genome is useful but complicated. Some scientists are passive to analyze their gene, and others are not. She’s afraid that problems with her maternal inheritance or dominant gene will be revealed. “I don’t have confidence to tell my children the problem”, she said. It’s hard to judge children’s age for adequate understanding. Children are quite clever students. She hopes that she provides people with latest and accurate knowledge to makes them considerable; getting rid of overestimating or too much fear about genome issues by giving knowledge. New gene techniques help us choice proper medicine, decide when to start treatment etc. At the same time we should remember life habit forms our health of body and mind. Genome information is certainly blueprint of life, however, it doesn’t control entire health. I thought her consideration about the issues came from her life with children. Ethical problem, medical matters—many good materials lie in gene science for classes of morality. I want to learn more, and hope my knowledge will be useful information for me.